Comfort is guaranteed with this sophisticated travel set. 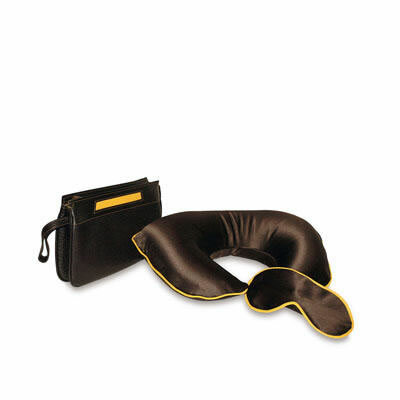 The soft buffalo leather case contains a head pillow and elegant brown satin sleeping mask, with a thin border of Acqua di Parma yellow. Two accessories carefully designed to ensure maximum ergonomic comfort during long trips.